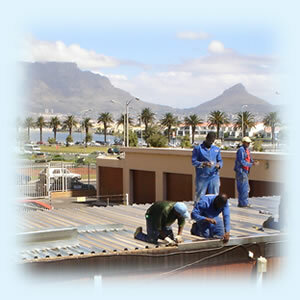 Smart Services (Pty) Ltd specialises in Waterproofing on building surfaces which includes flat roofs, concrete decks, parking decks, box gutters, showers, tanking, retaining walls, rising damp, balconies and flashings etc. We are a leading contractor in both the high end residential property market and all phases of comercial industries including high rise and multi storey buildings. We derive our experience from years of accumilated technical and practical know how. 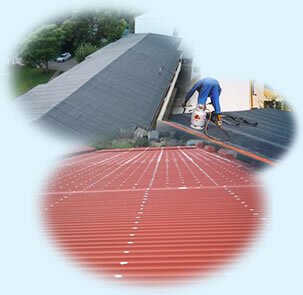 We offer a professional and comprehensive service to private households as well as to the larger Industrial Companies. For an overview of Waterproofing applications click here. Our excellent reputation in the industry is as a result of our continuous service and training to uphold the highest standard of workmanship in our field. Our Staff are trained, not only to achieve the highest level of workmanship, but maintain strict saftey working standards. As Independent Waterproofing Specialists, we have access to a large range of quality materials, to suit every possible kind of surface condition. These specialist materials include: Acrylic and Bitumen Based Membranes. Under Tile Plaster Waterproofing, and Latex Based Damp Proofing. 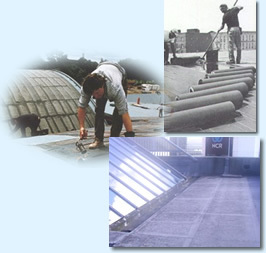 - The application of waterproofing membranes to roofs, terraces, parking decks, balconies etc.